In Return to Africa’s Witch Children, we reveal what happened to some of the children and church leaders who featured in our earlier film Saving Africa’s Witch Children. 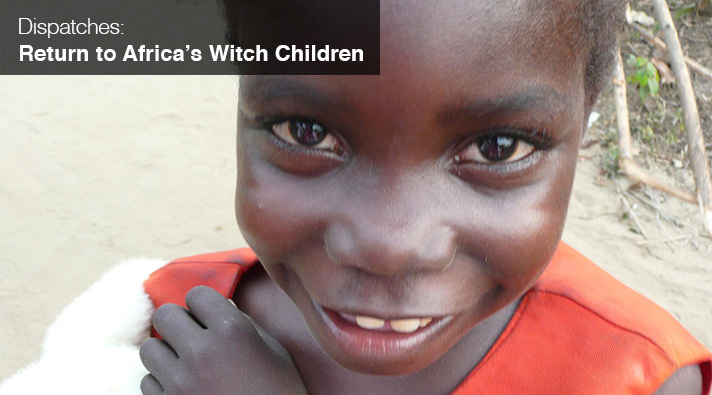 We discover that even now children as young as two are still being stigmatised as witches and treated as outcasts. Gary Foxcroft of Lancaster-based charity Stepping Stones Nigeria also returns to Nigeria and discovers that since his last visit the rescue centre that houses many of these children was the target of an attack. He also learns that the number of children living there has in fact risen. Two-and-a-half-year-old Ellin is one such child. She was found at the side of the road, her body having been severely burnt with boiling water. Nwanakwo Udo Edet, around eight years old, wasn’t so fortunate. He had acid poured over him after being labelled a wizard and later died. watch trailerIt would seem that what could be easier than writing an essay? It is not any scientific work, which requires a huge amount of investment of time and effort. Write an essay will have no difficulty. That’s what many people think, just started learning in higher education with write my essay for me. Vital questions arise while students start looking for someone to write my essay for me cheap.